The electric car still has a while before it will really catch on as a common form of transport, but a new report from Pike Research shows the electric bicycle market is booming, with “sales expected to reach 30 million units in 2012.” In comparison to the seemingly difficult goal of selling 20 million electric cars by 2020, that’s pretty impressive. This might sound great for the environment but, unfortunately, the report doesn’t have such positive findings for that end of the deal. As many as 28 million of those bikes will be made and sold in China, manufactured with sealed lead acid batteries that create excessive waste and contamination. 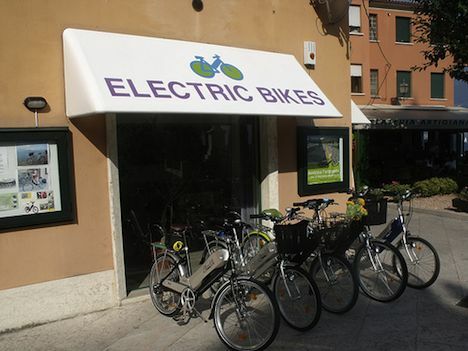 While e-bicycles are incredibly cheap there, several challenges have come up, such as bike traffic congestion, lead poisoning, the widespread use of coal-fired power to charge them, and manufacturers ignoring laws regarding e-bike speed and weight limits. They’re definitely onto something. Lots of young people are opting to go carless, but don’t always want to deal with public transportation or biking everywhere during harsh winter months. An e-bicycle sounds like a pretty happy medium and I won’t be surprised at all to see more and more people relying on them. If you live a pretty localized lifestyle, would you consider replacing your car with an e-bike?